Sources said the practice of recycling public distribution system (PDS) rice has been on for last few years in Punjab and Haryana. CHANDIGARH: Bags of rice meant for distribution among the poor (for Rs 3 per Kg) in Bihar and Uttar Pradesh are making their way into Punjab illegally. At times, the bags delivered to the Food Corporation of India (FCI) in 2017-18 —with printed Punjab lot number — were also found. Sources said the practice of recycling public distribution system (PDS) rice has been on for last few years in Punjab and Haryana. The illegal supply was detected last year between September and November. A probe showed that 1.90 lakh bags of paddy (37.5 kg per bag) and one lakh bags of rice (50 kg per bag) were seized by the Punjab food supplies department in 41 raids. The department got seven cases registered with the police. “Once this paddy or rice reaches rice millers they get fake bills and show it as purchased from the mandis. The paperwork is thus complete though no actual purchase is made. As rice does not attract any GST and no permission is needed for interstate transfer, traders make fake bills and the product is transferred. In most cases, when caught, traders presented these bills as they are difficult to verify,” he said. 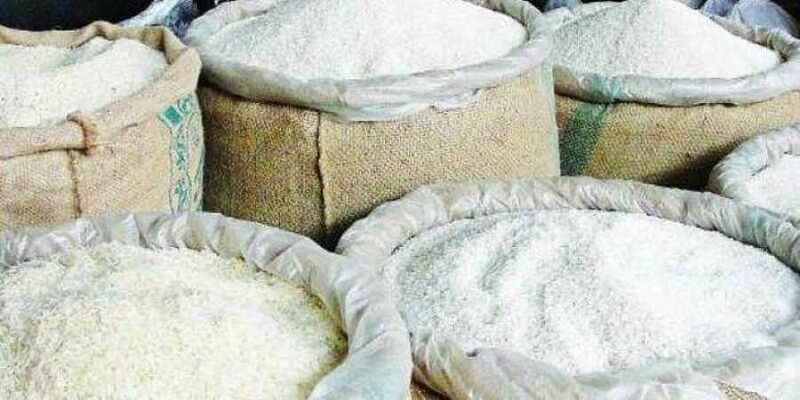 Sources said the state government has instructed rice millers to show paddy and rice found in their mills as their own purchase and whenever they sell these commodities they need to record it with the district manager of the procurement agency concerned. It will ensure that they will not be able to pass off these stocks to FCI. Sources said that these bags of rice and paddy were coming from Muzaffarpur, Muradabad, Gaya, Sitapur and Gulabgarh in Bihar and Bulandshahr, Bareilly and Kanpur in Uttar Pradesh. Sources said in last six years, the procurement of paddy was increasing every year despite the fact that the yield and area of production remained constant. In 2017, it was 179 lakh metric tonnes and in 2016, 165 lakh MT and in 2018 it was expected to cross 200 lakh metric tonnes in Punjab but it is now 169 lakh MT after the crackdown.